Cure HHT is pleased to announce that Christopher C.W. Hughes, Ph.D. from the University of California, Irvine has been awarded a $50,000 grant for his research entitled “Cross-talk between Alk1/ Endoglin and Notch Signaling in HHT”. Hypothesis – A failure in coordination between the Alk1/endoglin and notch signaling pathways contributes to the vascular defects in HHT. Aim 1 – Focused on the combined role of these pathways in determining arteriovenular identity; signals downstream of Alk1/endoglin and notch synergize to regulate ephrinB2 expression. Aim 2 – Focused on the role in patterning of capillaries; signals downstream of Alk1/endoglin and notch synergize to regulate capillary branching and mural cell recruitment. Completion of these aims will further our understanding of the complex interactions between two important signaling pathways that regulate vessel patterning during developmental and adult angiogenesis, and of the consequences when these pathways are disrupted in pathological conditions such as HHT. 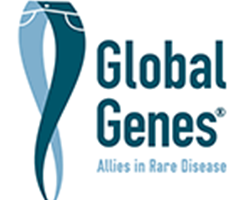 Summary – It is clear that people from families with identical gene defects (specifically in ALK1 and endoglin) experience multiple clinical types and levels of disease severity. In multiple previous experiments, a certain series of proteins called “notch” have also been demonstrated in animals to produce defects in the walls of arteries, quite similar to those observed with ALK1 and endoglin. Might it be that “notch” influences the clinical presentation of ALK1 defects in humans? To investigate this idea, Dr. Hughes proposes to use an elegant 3D system of vessel development. In a dish on the bench of a laboratory, developmental cells called “stem cells” (or the more matured “endothelial cells” which form the lining of our arteries) are injected into a gel substance after which these cells begin to curve together and form tubes; just the way our arteries begin to develop in our bodies. Dr. Hughes has already demonstrated that defects in notch proteins alters this tube development. By altering the cells, for either or both ALK1 and notch, he can actually observe if there are interactions in the formation of these arterial tubes. If notch is relevant, we can begin to find drugs that affect notch, and see if it makes a difference in this very same tube-development model. Dr. Hughes tested the hypothesis that an underlying problem in HHT is that blood vessels lose their identity and as a result form inappropriate connections. These take the form of arteriovenous malformations (AVMs) and telangiectasias (knots of capillaries). Arteries carry blood away from the heart and veins carry it back. Beyond their different anatomic locations these vessels, and in particular the endothelial cells that line them, can also be identified by their expression of cell surface molecules: artery endothelial cells express EphrinB2 whereas vein endothelial cells express EphB4. These two molecules can bind to each other such that artery cells can recognize vein cells (they have the receptor EphB4), and other artery cells (they lack EphB4). Using cell culture systems Dr. Hughes found that the genes involved in HHT, Endoglin and Alk1, regulate the expression of EphrinB2, but not EphB4. Importantly, when he reduced endoglin expression on vein endothelial cells (using a technique called siRNA-mediated gene targeting) they begin to express EphrinB2 and therefore “look like” artery endothelial cells. Dr. Hughes’ interpretation is that endoglin signaling usually acts to suppress EphrinB2 expression, thus ensuring that veins look like veins and not arteries. Another cell surface molecule called notch can directly induce EphrinB2 expression. It therefore has an additive effect with the loss of endoglin (HHT1). Dr. Hughes questions whether inhibition of notch signaling might reverse some of the effects of loss of endoglin. In summary, Dr. Hughes believes that underlying HHT is a problem with vessel identity. In HHT1 (mutations in endoglin) veins begin to look like arteries. With vessels no longer able to recognize each other correctly it is possible that AVMs and telangiectasias may result. Dr. Hughes’ current work is looking to see whether altering a parallel pathway (notch) may help.